Robert Werner has developed a solar-powered tide clock using my Arduino tide prediction libraries (GitHub link) I previously described here and here. The Instructables page shows how Robert used a servo motor to actuate a pair of hands on a dial face. The red and blue hands give you the time of the next high tide and low tide, respectively. 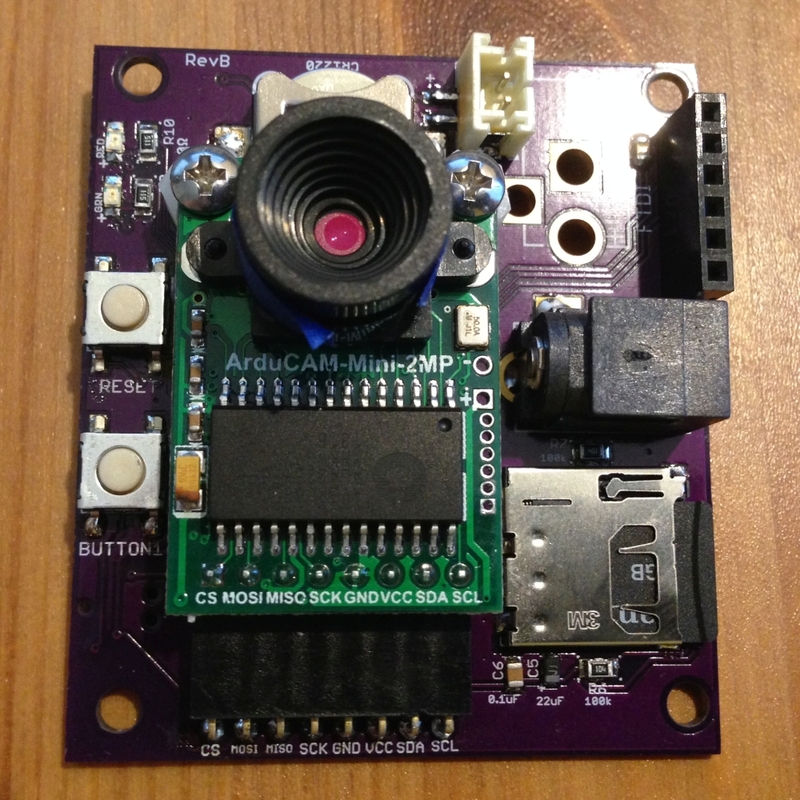 My time lapse camera board. or volume label syntax is incorrect. The error message above started cropping up shortly after I upgraded to Arduino 1.6.8 on Windows 7 x64. The cause seems to be due to some folder becoming locked in the Arduino compile pathway. One solution seems to be to close the Arduino software, restart it, and attempt to compile again. The program will compile ONCE, and then lock up and fail on a second compile attempt. Myself and Jeremy Long recently had a paper published in PeerJ (open access, free to read) describing the use of an Arduino microcontroller to predict tides and regulate the water levels in aquaria in synchrony with the natural tides. 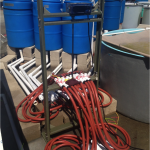 You can read more about that tide controller system here and further variations here. 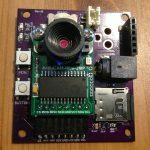 A few years back I posted about a set of Arduino libraries I wrote to allow an Arduino with an attached clock to predict the tides for a coastal site. In that post, I showed a variation on the theme that had a motor-driven rack that transited up and down in time with the tide. Recently I’ve been getting my printed circuit boards manufactured through OSH Park, and they make good quality (to my eye) boards at a decent price, with less than a 2-week turnaround time. They also take files directly from Eagle software, rather than having to produce gerber files (though this is also an option). 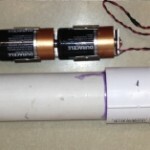 Here’s the start of a list of common bits and doo-dads I use for building electronics projects. As outlined in an earlier post, I found that certain old micro SD cards were performing spectacularly poorly when it came to power consumption because they failed to go into a low-power sleep state immediately after writing data to the card. 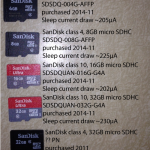 I recently purchased a few new SanDisk micro SD cards in various capacities to see how they behaved. I purchased 4GB, 8GB, 16GB, and 32GB SanDisk cards from Amazon in November 2014. These were all tagged as “Ships from and sold by Amazon.com” and ranged from $5.99 to $12.99.